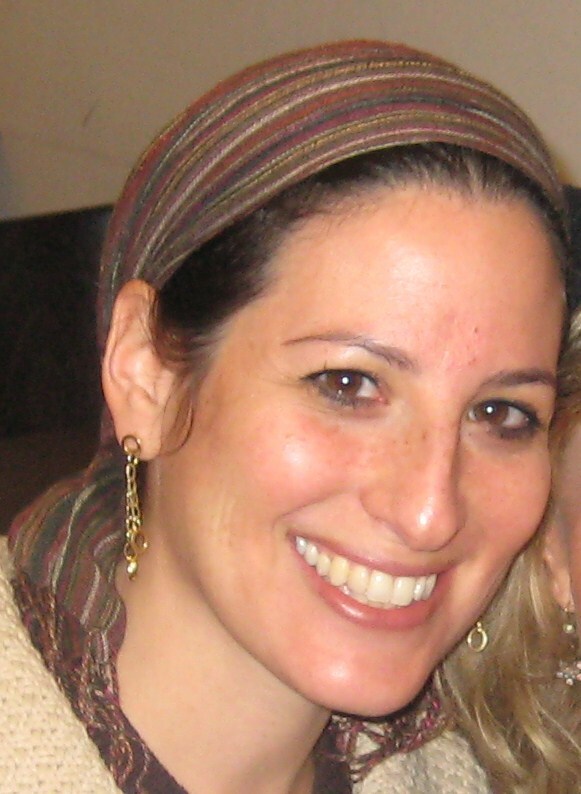 This is a guest post by my good friend Shoshanna Jaskoll who works primarily in the non profit sector and has been very active on social media over the past few years. You can visit her site here. The reason I wanted to post this is because Google+ has won me over in the past week and I thought it was an important topic to cover. However, so much has been said already and I wanted a unique angle on the new social network from Google. 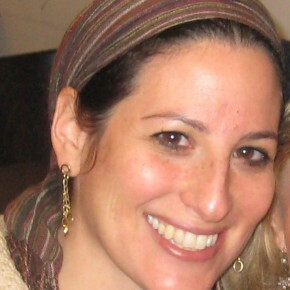 Shoshana provided that angle in the below post. Hope you enjoy. Just before Google+ was released (which I had no idea about because -see above- I am not a techie) I was complaining, er, crowdsourcing on other social networks about how I had nowhere to rage anymore. Meaning, everyone is everywhere. Used to be LinkedIn was for our professional selves. That’s where we get dressed, put on make up (tie if you’re a boy), heels and our work tone. Facebook was for friends and family, where we could be casual and perhaps share an occasional upset or personal event. Twitter was where we could really let loose. 140 characters of whatever you wanted to say, rapid fire, off your chest- gone. But, slowly, people are using FB and Twitter to see what you are like outside of LinkedIn, the office and business meetings. Now, potential bosses and clients are looking to see what you say when you’re not ‘on’ and your stream is evaluated for signal vs. noise. Do we ever get to be ‘off’ anymore? Do we need anonymous accounts to be able to express our opinions and frustrations? I understand that potential partners or clients may want to see my content. But where do we end and our businesses begin? How can we be us without always having to wear heels? And THIS is why I love Google+. Today, I made my ‘Circle of Rage’. It’s where I can say the things I want to say to people I know it’s safe to say it to. Where my business won’t suffer and I won’t embarrass my partners. It may seem like a little thing- but as our personal and professional selves become less and less separate, the need for us to have a safe space to just ‘be’ increases. And the opposite is true! Our friends may love us, but really not care to hear the latest stats in our industry. I often want to share professional content on twitter or FB but in the end choose not to subject my friends to it. Having to handle and maintain a separate business account is exhausting and double the work. I can easily post relevant content to relevant people. I can rage to my friends. Share funnies with buddies and send fabulous content to others in the biz. G+ makes it easy for me to see people in my friend’s circles and add them, expanding my reach and ability to learn from people I otherwise couldn’t get to. With FB, they would have to friend me. On Twitter I don’t get more than 140. Here, there is room for content without invading personal space. Best thing bout G+… my family isn’t on it yet—PLS don’t let them in! Shoshanna is one-third of REACH3K helping orgs and biz reach their audience. You can find her ‘heels on’ @REACH_3K or ‘hair down’ at @skjask and of course on G+! Better thing about G+ … you can control exactly what they see and what they don’t see! LOL. You know what would be great? If you could hide everything you do on the Internet from various people! Heck maybe that’s what Google is trying to do here by integrating all their products into G+ eventually. I haven’t looked at G+. When it comes to Social Media, I am not the early-adopter type. But I have to say that I really can’t see it as a good thing if Google achieves it’s goal of beating out facebook as controlling the SM space. I enjoy Google products but I feel that competition is good for the web, and FB is the only entity that can compete with Google right now… and Google seems to hate that. Also as someone who works in SEO it kind of gives me the creeps that Google is hinting that we have to get into Google + otherwise my rankings might suffer. Is the fact that my sites got lots of likes and tweets not sufficient enough indication that they are quality content?? Anyway, I guess that’s why I’m staying away from Google +, and rooting for FB. As for the good features that Shoshanna mentions, I’m assuming that if people like circles then FB can easily implement them on their platform. See now you’re getting all techy on me! I do agree though that monopoly is bad. Maybe Hilz can get more into it on the points you raised. yes – i don’t know what it is about this topic that gets me ranting but I really think that G+ doesn’t bode well for Google. Google has always been known for innovation and creativity – it has been revolutionary. Going to all this effort to launch a copycat facebook platform with a few cherries on top seems to indicate that Google is going wrong. 10 years ago Google redefined how people find stuff on the web, 5 years ago Facebook did the same – not by inventing a slightly better search engine, but by totally revolutionizing how we use the web. I have a feeling that something new is on the way – we will be ready for another revolution pretty soon. And it doesn’t look like it’s gonna come from Google! There I go ranting again! I have to tell ya, people don’t quite understand how open and in public their social media life is. For a long time i felt e-mail was the only place i can “let loose” online. However, you are SO RIGHT in this blog post! All the best FB… G+ just opened a new world for me. Finally a place i can act immature and bash hilzfuld without the scolding of other professionals. Good post and well said! I think Hilz bashing is ok on any platform … maybe except his own blog? Very nice article. I was just promoting Google+ on Facebook a few days ago for the same reasons. It is what was always missing from Facebook. Of course Google+ needs to have a critical mass to become successful, a mass which they will have to grow from scratch which Facebook long has (what is the point in being on it if none of your friends are)? Being Google, they can probably do it. Or Facebook can simply build the same functionality and kill it in its infancy. But that’s much easier said than done. Time will tell. It’s not missing from Facebook, they’ve had it for a long time. Their called Facebook Lists, and it does exactly the same thing as Google+ Circles (though it isn’t nearly as fun to create as G+). 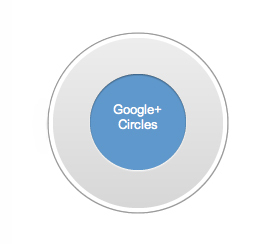 And here’s something to consider with Google+ before everyone starts thinking they’re safe sharing with Circles. If just one person in your “rage” circle re-shares your post, it’s all out the window. I’ve seen many posts along these lines but I find the argument a bit peculiar. Facebook has this functionality. It’s not as pretty (and I really like the GUI for creating and using “Circles”) but it’s there. It’s called “Messages”. I have a small group of friends with whom I exchange funny things from the web that might not be appreciated by my whole FB following. So we simply have an ongoing thread into which we add stuff as it comes up. The original subject line is now redundant, but that’s irrelevant. I have another ongoing message thread regarding an industry that I’m passionate about but which I’m sure is of no interest to 95% of my FB friends. G+ makes this look better but the functionality isn’t new. On a related note, I find the fact that private messages show up in my “Stream”. When I’ve shared something with 2 people and it appears in my stream, it makes me do a double take. It’s almost certainly because I’m so used to FB. If that works for you in FB then keep at it. I dont find it user friendly at all. In addition, the only ppl I can hear from on FB are those that I can friend and who accept me. Here I can follow people who wouldnt know me to accept me and learn from them. I think thats a great feature. Maybe those private messages can be colored and therefor not give us heartattacks! Really appreciate your POV on this one. If you like Facebook and either don’t care what you share or don’t share anything and the inane ‘chatter’ doesn’t bother you, I say great. I myself clung to MySpace for a long time. It too tried to adapt to what it thought it’s users wanted – in fact adding similar features to those on Facebook but in the end a better GUI/Facebook (among other things, depending on your preferences) won out. Privacy has long been a concern for Facebook users that a lot of people feel has never adequately been addressed. Facebook could change this too but after being redressed for these issues many times, Zuckerberg hasn’t made any REAL attempts to allow users to create the equivalent of ‘circles’. I have to block certain people from seeing my ‘wall’ at all if I want to handle that issue. I say so long Facebook. Say hello to MySpace when you’re finally commissioned to the social media attic. Facebook actually does have something similar to circles (lists). And Facebook even has a feature that G+ doesn’t have, on FB you can post to all EXCEPT folks on a particular list! Nevertheless, G+ is still better than FB in some respects. Hi and thanks for reading and commenting. One question: How good can a program’s feature be if someone who has been using it for years doesnt know about it or how to use it easily? Just started using G+ in the past few days. I liked your idea of a “circle of rage”. So I created something similar and posted something to my “rage-mates”. Very embarrassed now to find that people outside of that circle also received it in their stream. Don’t know how. Have been back and checked, and am posting only to that circle, but it’s getting out to other circles. Anyone having the same leakage across circles? Or I have I misunderstood the concept?